Six planets were known from antiquity. In order of distance from the Sun, these are Mercury, Venus, Earth, Mars, Jupiter, and Saturn. Saturn, at 887 million miles from the Sun, was the furthest object known in the Solar System, until, in 1781, when Uranus was discovered by William Herschel. Uranus is 1.78 billion miles from the Sun, so its discovery more or less doubled the known size of the Solar System. Its great distance has limited its exploration by unmanned spacecraft, so only Voyager 2 has achieved a near flyby in 1986. 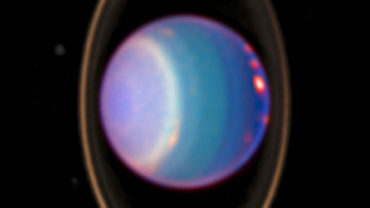 However, this flyby, with the addition of observations from the Hubble Space Telescope, have pointed out a number of strange things about this anomalous planet. 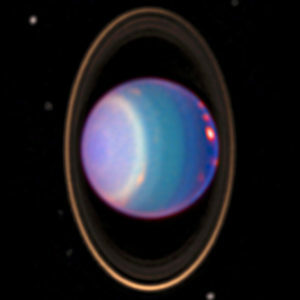 Like the other gas giants, Uranus has a magnetic field and its own system of moons, as well as the second best set of planetary rings in the Solar System. However, its polar axis is angled at 98° to the Solar System Normal, compared with 23.5° for the Earth. Not only that, but, viewed from above its North Pole, Uranus rotates clockwise; most other planets, including Earth, rotate counter-clockwise. Currently, 27 moons are known to orbit Uranus, all doing so in approximately the same plane as the planet’s equator and rings, with most of them orbiting in retrograde direction. It is hard to see how the anomalous motions and inclinations could have come about if the Solar System were formed out of stellar dust, as evolutionary astrophysicists suggest. 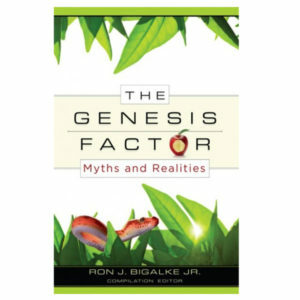 Since God is a God of infinite creativity, the direct creation of the Uranus system makes much more sense. Lord God, we acknowledge You as Creator and as the Supreme Artist of this universe. Thank You for the excitement and interest in discovering more about the things that You have made. Amen. Ref: Encyclopaedia Britannica, < https://www.britannica.com/place/Uranus-planet >, accessed 5/2/2018. Image: NASA, Public Domain.